If you are looking for a professional, reliable Name Labels UK supplier to start up and develop your own high street brand garment? Perfect Labels Lanyards is the garment labels supplier for you, we specialize in customizing all sorts of labels including printing garment labels, designer labels, as well as kids’ labels, school uniform labels and plus much more. Everyone has a chance to be the next trendy brand. If you are a new designer and are on limited budge to custom garment labels, contact us and then we will help you to develop your garment brand label with low minimum quantity requirement and at an affordable price. We also like to introduce you to our range of printing iron on labels & personalized address stickers. These two items are so popular recently in UK market. They are so easy to apply onto your clothing products, and they stay on so well. Most amazingly is that it only takes seconds with a hot iron. 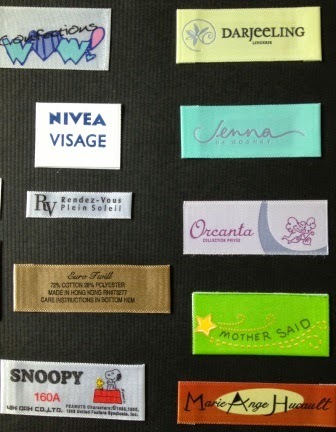 Perfect ideal labels for school uniform name tags and personalized address labels. With our years’ professional experiences in customizing high street printing name labels, we can help your brand standing out in a distinctive force in today’s fashion market. Contact us today, and start your own personalized printing brand labels.